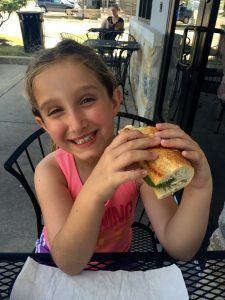 Going Gluten-Free has been a long process for our little family of four living in Austin, Texas. The thought of no more pizza or donuts seemed insane. For a while now we have heard people everywhere talking about going gluten-free and all the options and health benefits of going gluten-free. Both my kids have symptoms of gluten sensitivity, but it just didn’t seem practical. The hassle of going gluten-free seemed daunting in a world of goldfish crackers and cupcake Friday. But together, as a family, we finally told gluten to “Get Lost!” I’m going to tell you how we did it. Going gluten-free started over a year ago with lots of discussions. Both my son, Mr. B (10) and daughter, Miss G (8) have had Keratosis Pilaris for as long as I can remember. Keratosis Pilaris are red pimply bumps usually on the back of the arms, back and maybe legs and bottom. It is a very uncomfortable and quite embarrassing condition. I tried many remedies to cure it or offer relief. I tried lotions, creams, steroids, tons of new laundry soaps, bath soaps, etc. to no avail. After much research, we finally concluded together that to truly clear their skin we would have to treat it internally instead of topically. 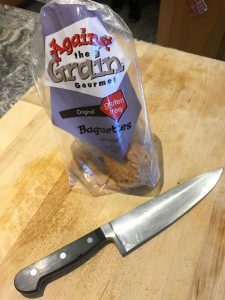 Miss G also had daily stomach aches which is another red flag that screams “gluten sensitivity.” So we started talking about what it would look like to go gluten-free. We would have to give up our favorite pizza place. The kids would have to pass on cupcakes at birthday parties. No more cookies-n-cream ice cream. I’d have to stop baking my favorite chocolate cookie recipe. The list goes on and on. It became overwhelming thinking about how we could possibly let gluten go. But researching Keratosis Pilaris was also really disheartening. Reading that my kids may grow out of it after the age of 30 was not up-lifting. That’s more like saying they will just have to live with it. All I could do was open the door of discussion about going gluten-free with my family and start giving them information. 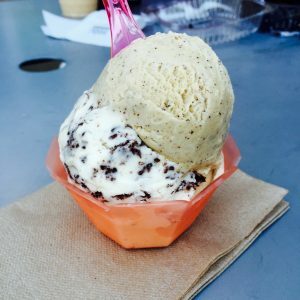 For a year before we went 100% gluten-free we tried out new recipes, experimented with alternative flours, and looked for restaurants offering gluten-free options. Not all of our new recipes were a great success. But, the longer we sat with the idea of leaving our gluten days behind, the less daunting going gluten-free became. 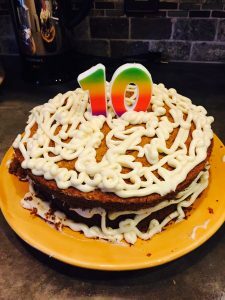 One Saturday, after a birthday party where both kids ate a cupcake (and Miss G had the inevitable stomach ache), I asked them how it would have been to leave that party without eating a cupcake? They both thought about it and talked about it for a while. It would be hard. But they came up with a few solutions. One, let’s bring a gluten-free cookie or rice crispy treat in mom’s purse. Or two, wait until we get home and have a bowl of ice cream. Thinking through how we would handle real life situations without gluten, is what prepared us for telling gluten to “Get Lost!” Going gluten-free started to feel possible. As a family, we all agreed that eventually we would be going gluten-free. The only question was, when? Mr. B made the suggestion that we pick a date we could all agree on and then go for it. They chose to take the plunge the day we returned from a 3-week family vacation in South East Asia. May 30th was the date. It was right before summer vacation, which meant most meals would be eaten at home. It was a perfect time to make a huge change. We are currently three months into “going gluten-free” and I’m here to report it is easier than I expected. I understand not everyone will be gradually going gluten-free. 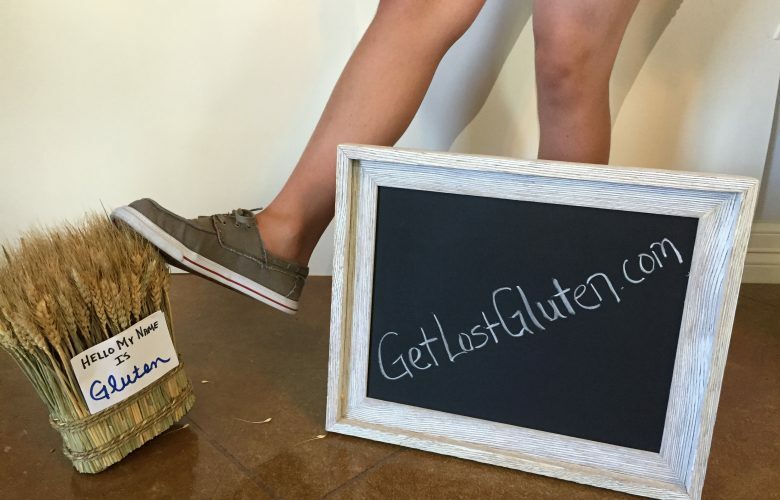 Some receive the news they are celiac and must immediately say “Get Lost Gluten.” Either way, I’m going to share my journey and give you all the tips and recipes I gain along the journey. The first and most important tip is to reassure you kids they will not go hungry or miss out. There are so many delicious and even sinful gluten-free sweet and savory treats. Telling gluten to get lost is kind of like an adventure and you won’t ever regret it! Excited to read more of your journey. Best wishes.